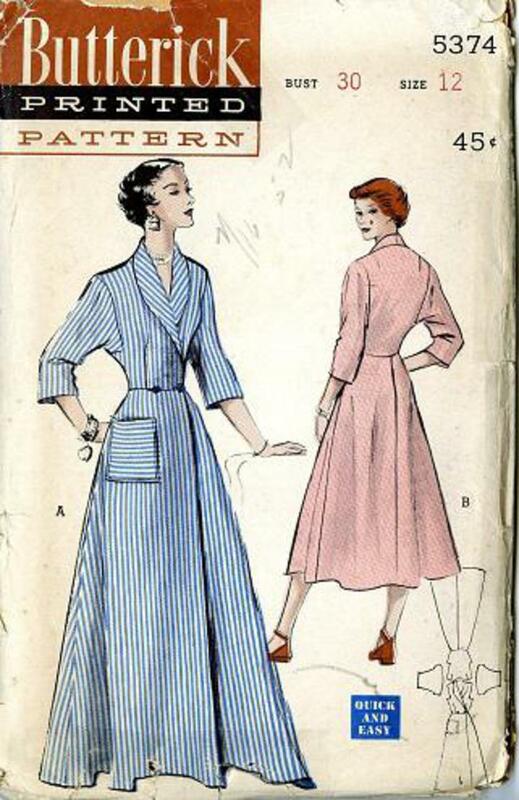 1950 Butterick #5374 vintage sewing pattern, misses' wraparound housecoat in two lengths, size 12. 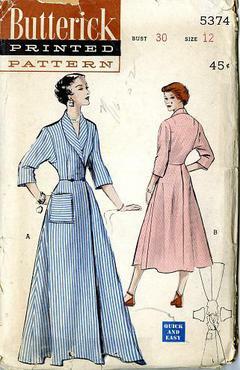 Wraparound 'quick and easy' housecoat has a rolled collar and three-quarter length dolman sleeves. Make it in light or heavy-weight fabrics. Floor length or brunch coat version.